※The image is an image. 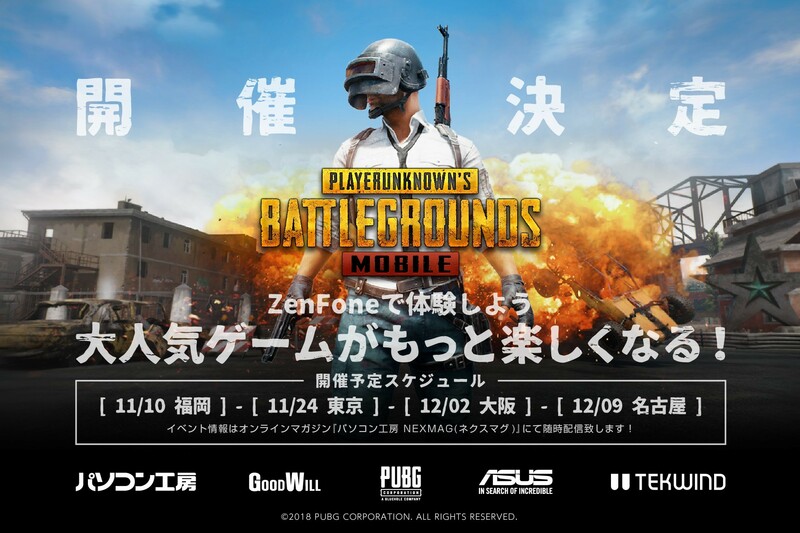 Unitcom, which runs PC workshop / Goodwill, will use the ASUS ZenFone 5 to experience the gameplay of "PUBG MOBILE" at the PC workshop / Goodwill store space in each city, a touch & try event We will hold a total of 4 times from November 10 (Sat) to December 9 (Sun) in 2018. We set up a trial section of the battle royal shooter "PUBG MOBILE" using the topic of smartphone ASUS ZenFone 5 at PC workshops and goodwill in each city. You can enjoy the comfortable "PUBG MOBILE" game play unique to ZenFone 5 with high processing speed. Also at the event are PUBG Mobile Official Partner Mr. Rei Shi, ASCII Editorial Department Tsubasa enters. It is a game event that you can enjoy even those who are "PUBG MOBILE" play for the first time. 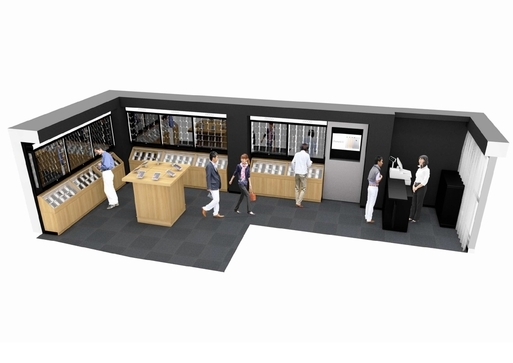 · At the event venue, we will set up "PUBG MOBILE" trial booth at ZenFone 5. Please enjoy comfortable game play with no delay unique to ZenFone 5. · From 13 o'clock to 16 o'clock, special guests appeared every hour! Mr. Rainy who is a famous streamer and PUBG mobile official partner and Mr. Tsubasa Tsubasa of ASCII editorial department "We want to eat with famous live-in persons! Aiming Don wins challenge!" Is also held. · ZenFone 5 × "PUBG MOBILE" at the event venue To customers experiencing the event, we will present an original stainless steel bottle. [Event name] Let's experience with ZenFone! Popular games will be more fun! 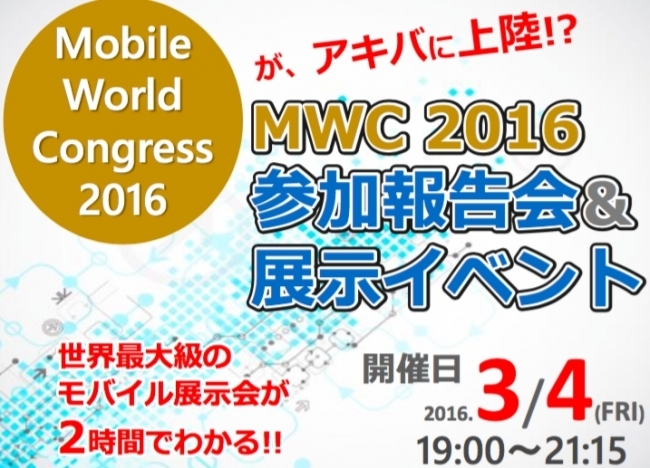 [Sponsor] ASUS JAPAN CORPORATION, Tech Wind Ltd.
* Company names, product names, etc. in the text are the display, trademark or registered trademark of each company in general. 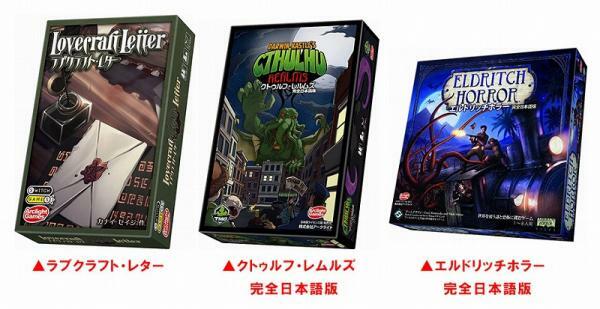 Before the release of new board games Lovecraft letters pair experience soon! In the book spring book Tower “at Bodog Cthulhu workshops ‘ organized!